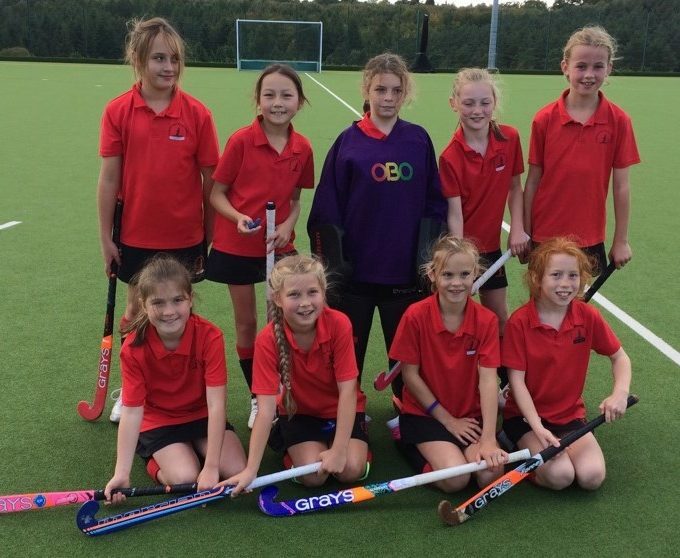 The first hockey tournament for the U10’s was hosted by Worth last Friday, and the team along with Mrs Dodson and Mrs Jones were keen to play. This was a tough first game and the girls had to fight for every ball, there was no time to settle into the match. Ava and Zara had a lot of defending to do but they kept cool and tackled well. Gabi, Charlotte and Annabelle had lots of chances to score and Annabelle was rewarded with the first goal. Unfortunately Cumnor were more used to the surface and we ended the game 1-2. This is a game we should have won which would have taken us into 2nd place; unfortunately a goal was scored in the dying seconds of the match to give RR the win 1-0. The girls really came out fighting in this game and goals were scored by Annabelle and Charlotte. Again great running up the wings with Isabelle and Sophie adding to the attack. The Copthorne girls came away with a well deserved 2-0 win. This put us into the 3rd/4th place play-off. We once again faced Dorset House. I really thought the girls would be starting to get tired by now; the games were 15 minutes long and they only had a few minutes rest at half-time and between matches. However, in true Copthorne style we went out and won this game 2-0, finishing the tournament in 3rd place!